Are you looking for a children’s party entertainer in Hillsborough? With years of experience entertaining kids at birthday parties, company picnics, wedding receptions and other special celebrations around the Bay Area, California – and a natural love to see children with smiles on their faces and happy memories – Denise is a cinch to make your party a success. Planning a special event can be quite a challenge, specially where children are invited. If you are the party planner, you will be busy with many tasks, including looking after the children. Youngsters today sometimes expect more from a get-together and you surely would want them to have a wonderful time. That, my friend, is exactly where a passionate children’s entertainer comes in, as they will keep the kids fascinated and happy from the party’s start to end. This allows both the planners and parents to relax, socialize and enjoy the gathering to the fullest. ■Magic Comedy Show — A simple magic show is good, but a comedy magic show is absolutely enchanting. Let the kids be at awe and laugh at Denise’s cute, cool, and amazing magic tricks. 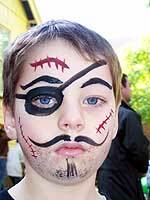 A boy with a pirate face painting – Ahoy, shipmate! Arrr! ■Face Painting — Bring out the superheroes and princesses in the children’s hearts with a great selection of face paint designs. The paints are all regulated, so they are totally safe for sensitve skin. The only thing to be wary of is that face paints may mess up the children’s clothing or hair if they touch the designs before they dry. For this reason, I often recommend glitter tattoos for dress up special occasions. ■Glitter Tattoos — This activity is similar to face painting but it stays on for days after the party. Glitter tattoos are eye-catching, not only because of their sparkles but also due to their gorgeous designs. There are fairies, flowers, and butterflies for the girls; and it’s dragons and superhero emblems for the boys. No need to worry about safety as we use high-quality, hypoallergenic, and non-toxic materials. Even the adults and teens often enjoy getting a tattoo as well! ■Balloon Twisting — Who says balloons are just round? With my balloon-twisting tricks, a simple balloon can be turned into an accessory, an animal, or a hat! There are numerous colors and designs to choose to make a balloon toy. ■Party Games — My games are safe and fun for kids of all ages. Even better, I have games that can be played indoors and outdoors, so you don’t need to worry about the games’ suitability with your venue. 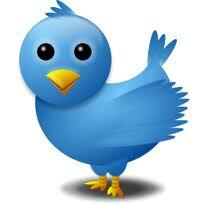 All these activities are entertaining and will make any event a huge success. Seeing big smiles on the kids’ faces makes my heart melt. 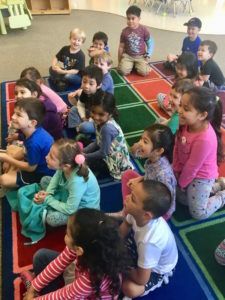 Denise loves working with kids and has a special connection with them. She has been working as a children’s party entertainer in Hillsbourough, CA for more than 15 years and has the talent of capturing children’s attention for hours, keeping them entertained and engaged and happy. After all, a cheery child is more manageable than one who is not. Please call Denise at 650-740-7798 to schedule entertainment for kids at your special event.